Did camp fires kill off Neanderthals? A genetic change that rendered modern humans resistant to the effects of smoke may explain why we flourished while Neanderthals foundered. There were many branches to our human family tree yet all but one has been pruned leaving us as the sole survivors. But why? This week, writing in Molecular Biology and Evolution, scientists at Penn State University speculate that a chance genetic change desensitised our tissues to the toxins in smoke, meaning that we could better tolerate a smoky environment and benefit more from the advantages that came with controlling fire. The idea comes from toxicologist Gary Perdew. He and his colleagues have been studying a component in cells called the aryl hydrocarbon receptor (AHR). This detects potentially toxic chemicals and activates a system in the body to break them down. It probably evolved to defend us principally from the molecules made by plants to stop animals from eating them, but chemicals present in smoke can also activate this receptor. Low levels of toxin exposure can be handled easily by the body using this pathway, but high-levels can cause harm because the toxins are temporarily turned into breakdown products that are themselves harmful. 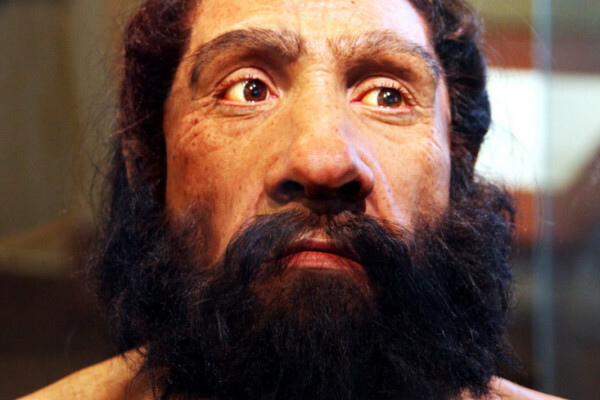 Perdew wondered how the activity of this AHR system varied between modern humans, Neanderthals and other animals. The Neanderthal copy of the gene has been decoded from fossil specimens, so Perdew and his team were able to add it to cells in culture to test how Neanderthals would have responded to toxic chemicals in smoke. The results were surprising. "Modern humans have a version of this gene that is 150-1000 times less sensitive to smoke chemicals compared with Neanderthals," says Perdew. "So Neanderthals would have reacted far more to smoke exposure than us." It's on this basis that he thinks Neanderthals were killed off by their own camp fires, because modern humans got lucky through a mutation in this gene that meant that we didn't react so powerfully to the effects of smoke.